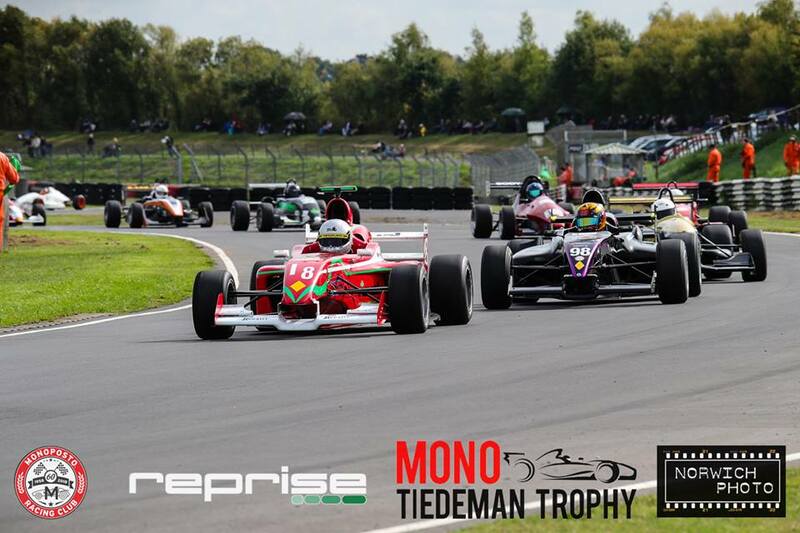 The Reprise IT Tiedeman Trophy kicked off for the 2018 championship at Castle Combe on Saturday 15th September. The format of the event was a one day double header, with all cars on one grid. 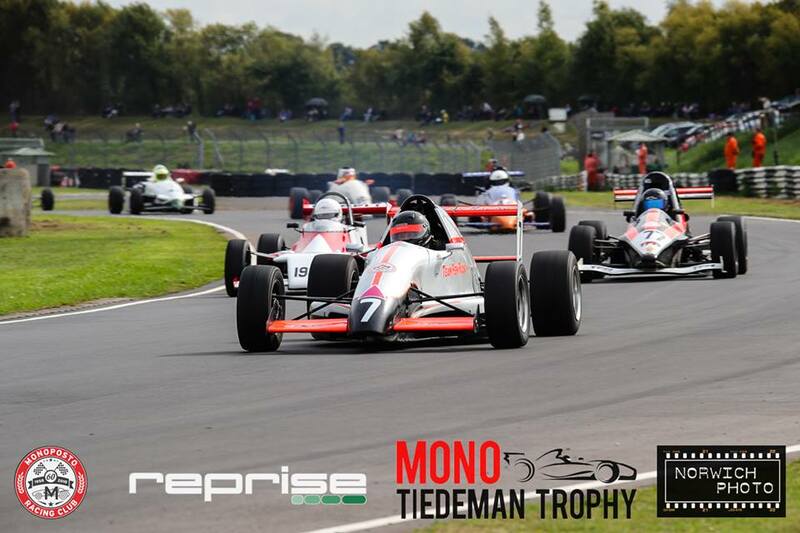 The event attracted a good entry, with twenty five cars lining up to try to take the early championship lead. Qualifying saw Jason Timms take pole overall in his Moto 1400 Dallara with Tom Rawlings close behind in second and first in the Moto 1000 class. Robin Dawe qualified first of the 2000 class with Terry Clark second and Peter Venn third, although they were spread a few cars apart on the grid. The 1800 class was all bunched together on track with Phil Davis holding pole for the class and Will Cox was at the front of the 1600 class and seventeenth overall on the grid. Nigel Davers retired from qualifying in a cloud of smoke after two laps because of a seal letting go. He managed to get the problem fixed in time for the first race though. Rachel Lovett qualified nineteenth and was getting quicker each lap, before pulling off on the side of the track - as it turned out, she had switched the ignition off when changing gear... This resulted in Ewen taking a grinder to the ignition and fuel pump switches to stop this happening again. Tom Rawlings also parked up with gearbox issues and a red flag was brought out five minutes from the end of session which was not restarted. 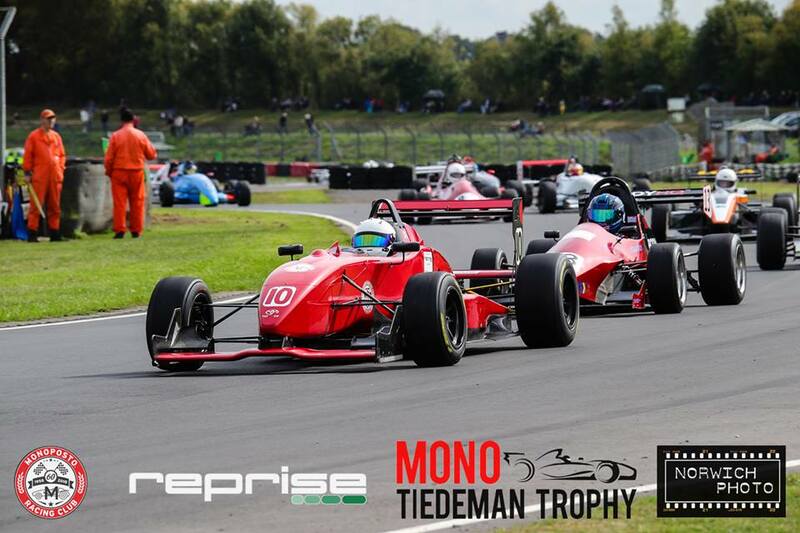 Race one saw Jason Timms have a good start and maintain the lead of the race from start to finish. Tom Rawlings stayed close on him and challenged for the lead in the first few laps, but then he began dropping back as it turned out that a wire had come off the air flow sensor which put the car into limp mode. 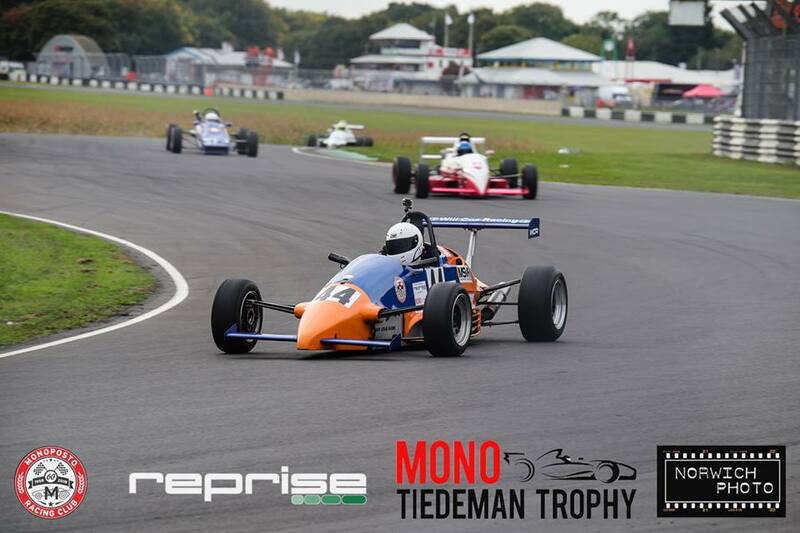 Tom finished sixth overall and third in class in the end. Zachary Anderton had a good start to the race, he had started sixth on the grid, but got up to fourth off the start, overtaking Robin Dawe and Mark Harrison. He got past Dominic Shepherd for third place on lap six and then inherited second when Tom Rawlings dropped back which he maintained to the end of the race. Dom slipped back a couple of places from there and ended up fifth overall and second in the Moto 1000 class. Mark Harrison started the race from fifth on the grid but dropped to sixth off the start before getting past Robin Dawe on lap three to retake fifth place. He got past Dominic Shepherd for fourth place on lap eleven and then gained third place overall with Tom Rawlings dropping down the pack. 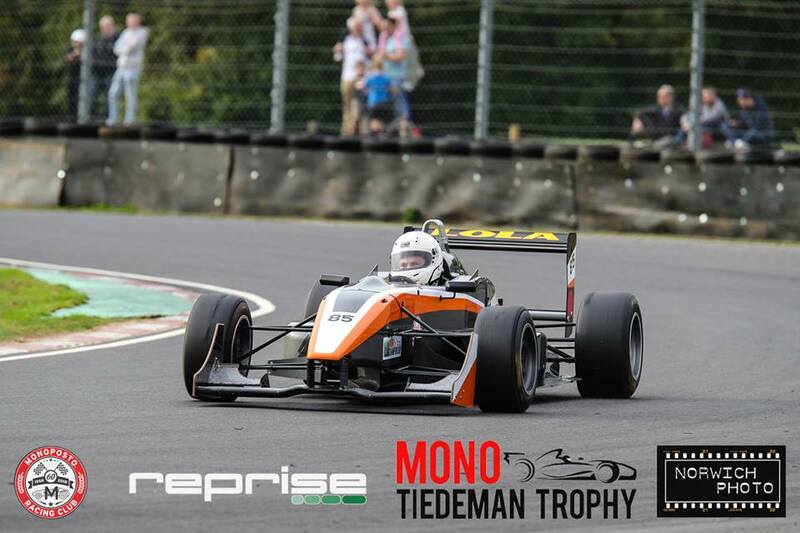 He also won the F3 class. James Drew-Williams finished second in the F3 class and seventh overall on the grid. In the 2000 class, Robin Dawe took the class win, fourth overall and set a new 2000 class record. 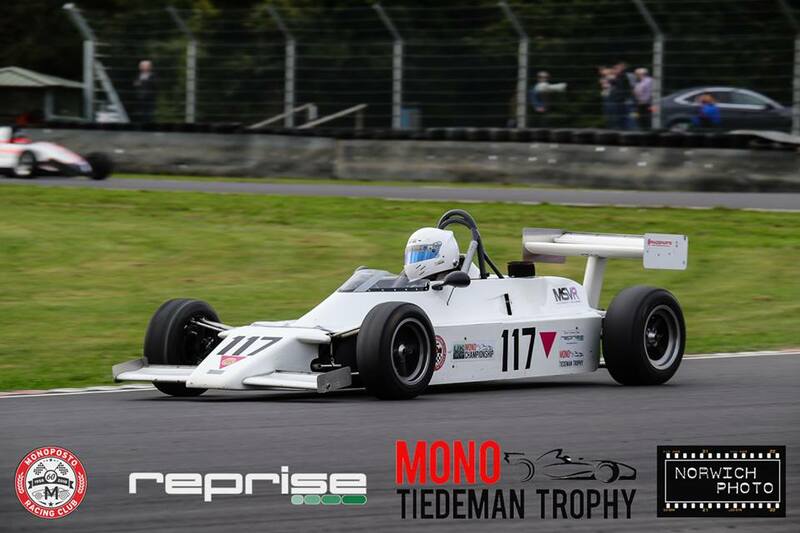 Terry Clark finished second in class and Peter Venn third, they were eighth and ninth overall on the grid respectively. Terry did very well to finish where he did after a spin on the first lap at the exit of Quarry left him right at the back of the pack. He climbed his way back up over the course of the race, before taking second in class away from Peter on the final lap of the race. The 1800 class, which was the biggest of the day, saw battles raging within the class for the entire race. Phil Davis started on pole in class with Geoff Fern behind him and Chris Lord next in line, followed by Adrian Heath and Rodney Toft. Chris Lord got a great start to the race and got up to the lead of the class, Phil Davis stuck with him but didn’t get a chance to make a move back during the race. Phil had to defend hard from Geoff Fern who was right behind him. Geoff got past for second in class on lap eleven, but then dropped back down to third a couple of laps later and finished the race there. 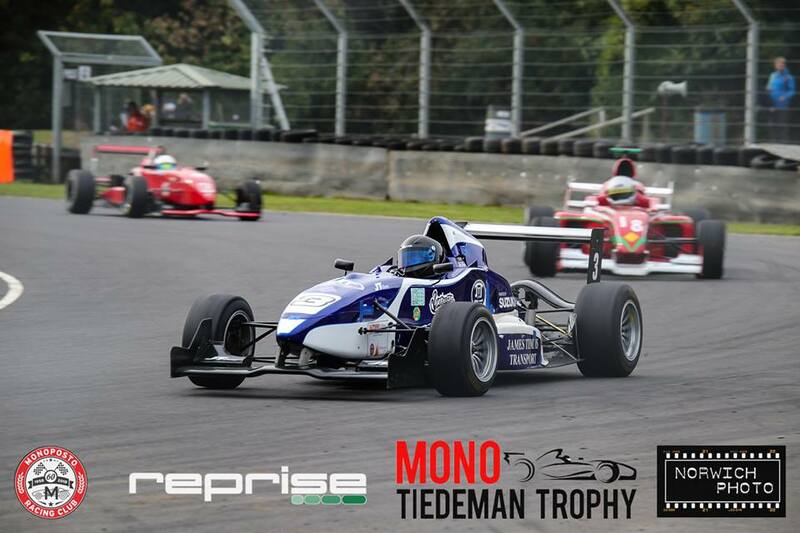 Rodney Toft had a clean race to finish fourth in class and fifteenth overall on the grid. Adrian Heath had a bad start to the race and lost a few places on the first lap to eighteenth on the grid overall, he then had an off at Bobbies on the second lap which let Martin Wright, Rachel Lovett and Richard Greening through. Martin Wright was the next one to have an off which bumped Rachel and Adrian up and with Adrian having got back past Richard Greening, there was a battle for fifth place in the 1800 class. Adrian eventually found a way through after a few laps but then disaster struck again as a push rod snapped a lap later which caused him to retire from the race. The grid for race two was set by the fastest laps set in race one so the positions were mixed around from the first qualifying and race. 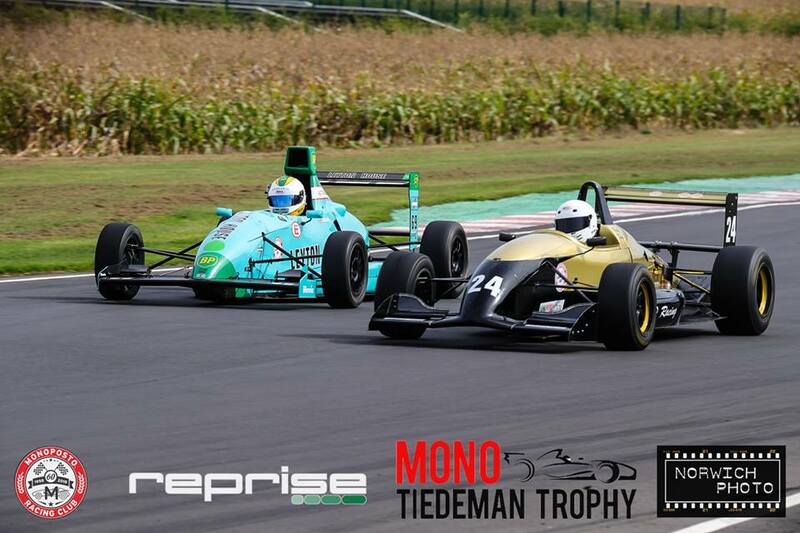 Jason Timms started on pole again and led for most of the race before retiring three laps from the end. Tom Rawlings started from second position and was staying close to Jason Timms until he had a wheel bearing let go on lap seven which saw him park up next to the Esses. More bad luck at the front saw Mark Harrison start third, gain second after Tom’s retirement and then retire himself two laps later after a rear wheel came loose. His silver lining came in the form of the new F3 class lap record though. Mark and his brother Neil have been swapping the record between them over the last few years, but Mark has upped the game by taking two seconds off the previous record! Zach Anderton and Dominic Shepherd didn’t make the race after qualifying fourth and fifth respectively which left James Drew-Williams from the F3 class (who had qualified sixth overall) free to take the overall win of the race. In the 2000 class, Robin Dawe had made an early retirement after his class win in the first race and did not make an appearance for race two. Terry Clark remained facing in the right direction for the entirety of the second race and brought his car home first in class and second overall in the race. Peter Venn stayed behind Terry but could not quite match his pace and dropped back from him during the race to take third overall and second in class. 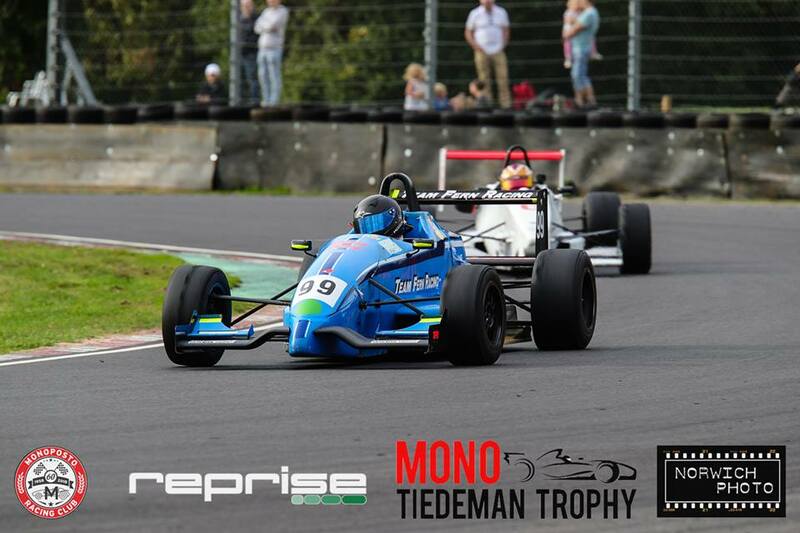 Nigel Davers came third in class and fourth overall for the 2000 class having swapped cars after race one and started at the back of the grid in the Team Fern Mygale. Dave Wheal took fifth overall in the race and the Moto 1000 class win, having driven well all day. 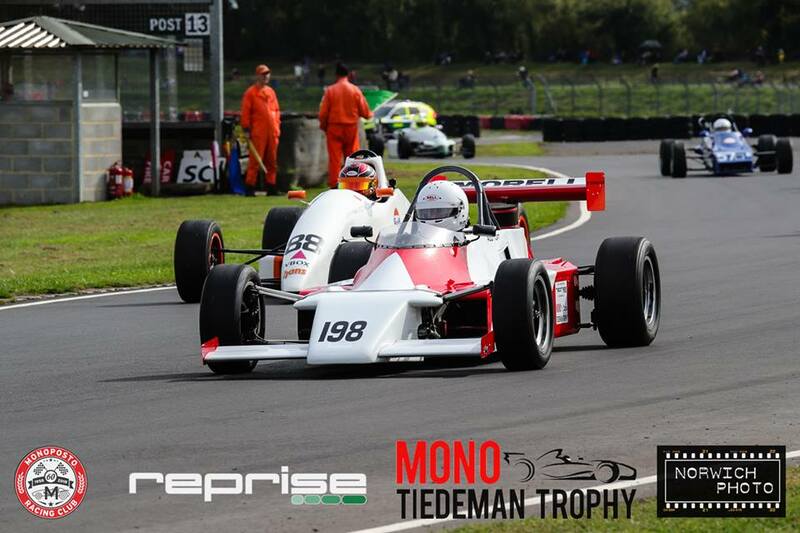 In the 1800 class, Chris Lord led from start to finish again which not only won him the class, but he also won Champion of Castle Combe. Behind him, Geoff Fern and Phil Davis battled it out for second in class, with Phil being the eventual victor. However, Geoff did manage to take the fastest lap in class and set a new lap record for the 1800 class, which was fitting as in the same race he lost his Moto 1000 class lap record to Tom Rawlings. Will Cox had two good races in the 1600 class, leading the class from start to finish in both races and taking fastest laps in class for both. 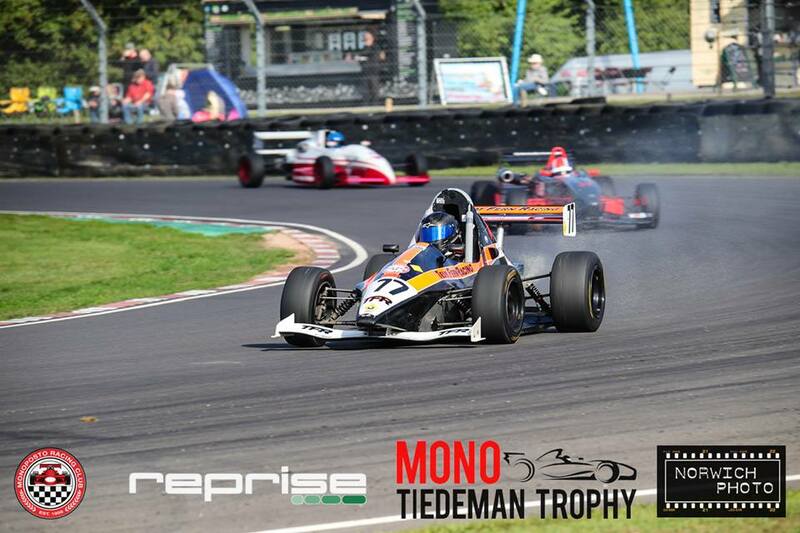 He spent most of his time battling against drivers from other classes and ended up taking second overall for the day. Terry Clark took third overall for the day in the 2000 class and sits just one point behind Will in the Championship standings ahead of Brands Hatch on 27th October.